Medical Media Images is proud to offer a new line of images. These image are an extension of the Reference MRI images recently introduced. These new images show a Reference Whole Body MRI scan on the left as well as cut-outs showing the Normal and Diseased Spine. The above Image is an example of the new line of Images. The whole-body MRI on the left shows the viewer where the two cut-out Images are located in the body. 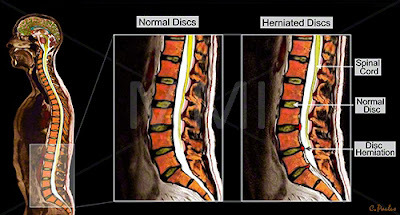 The left sided cut-out shows Normal Discs in the Spine, whereas the right sided Image shows multiple Disc Herniations. 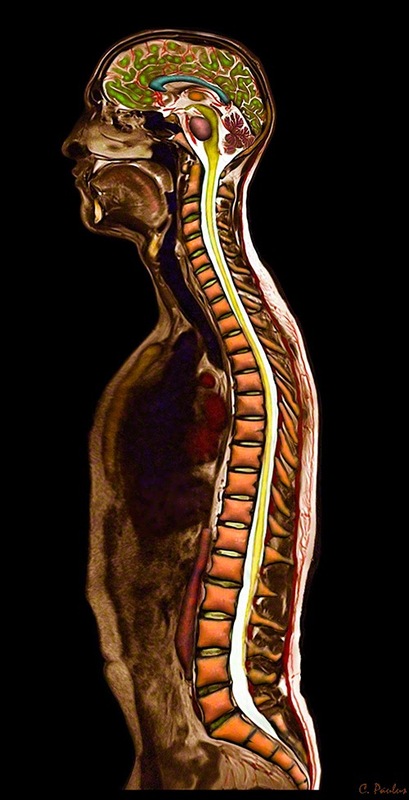 Annotations show the location of the Spinal Cord, Normal Discs and Disc Herniations. This type of Image makes it easy to for the layperson to understand the concept of a Disc Herniation. Images like this one are ideal for Medical Websites, Publications, Prints and as Office Posters.